Far Infrared Saunas are unique in their ability to effectively mobilize and remove both fat-stored toxins, and those already in the blood stream. Removal is achieved in a safer manner than is possible from normal heat or perspiration from activity. Our exposure to toxins is greater now than at any point in human history. Many aspects of our lives contribute to a toxic burden without our awareness. Most of us realize that breathing in pesticides or car exhaust isn’t good for us, but you may be surprised to learn that fire retardants, which are present in virtually everything in our homes, and carpet chemical outgases ,all expose us to known carcinogens. The importance of Far Infrared Sauna’s ability to impact fat stored toxins is that nutrition that cannot be absorbed is normally excreted. However, with exposure to toxic substances, the body cannot metabolize most of the poisons it is exposed to. The majority of these toxins therefore remain in the body for many years, stored in the fat cells that exist throughout the body. While incremental exposure may be slight, with accumulation, even small amounts can build into significant portions over time, disrupting our ability to absorb nutrients and heal. Scientific research is finding that it takes only minimal amounts of toxic substances to compromise the body’s sensitive systems and proper functioning. Additionally, many of these toxins can combine in unpredictable ways to produce a combined effect that is much more harmful. Your good health depends on the ability to eliminate and excrete the dangerous toxins which are stored in your fat cells. 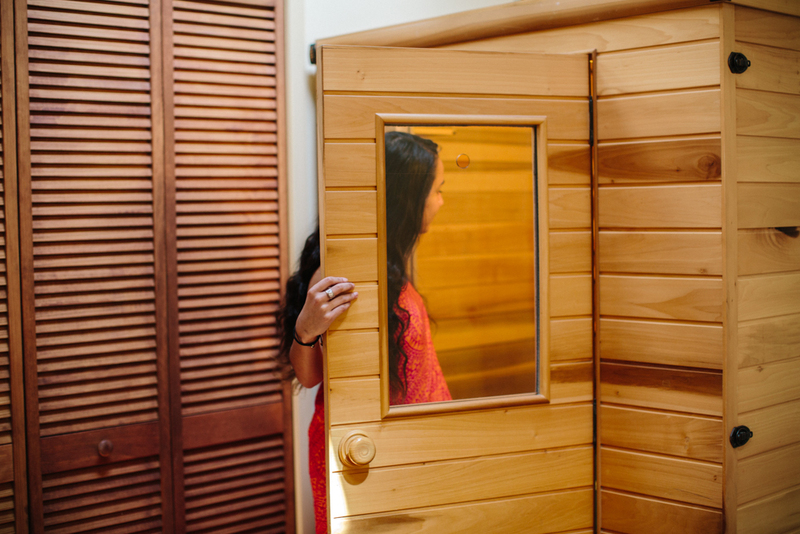 Far infrared saunas use dry heat and generally last up to 30 minutes, during which time you are encouraged to drink large amounts of pure water and relax. 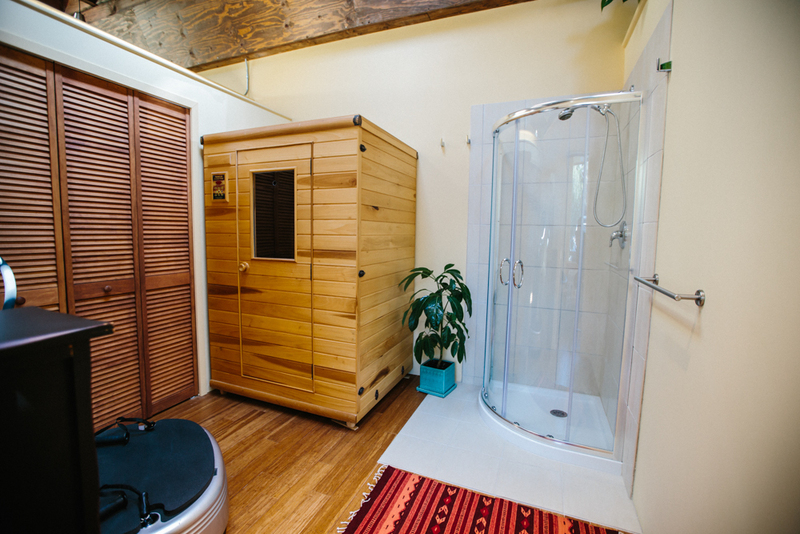 When combined with our other services, especially Ionocenisis, foot baths or PEMF, the sauna detoxification process can be accentuated.